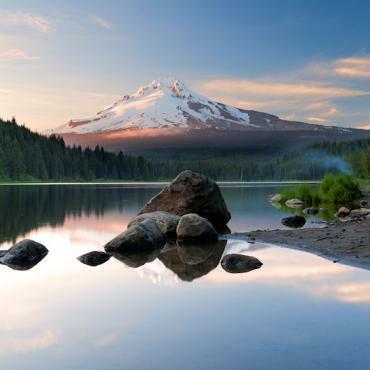 Majestic, unspoiled and unimaginably glorious - welcome to the pristine Pacific Northwest. American Empress, the largest and most elegant riverboat west of the Mississippi, cruises rivers where little has changed since the explorers Lewis and Clark opened up the West for settlement in the early 1800s. The American Empress cruises from Vancouver, Washington State (only 9 miles from Portland, Oregon) to Clarkston, Washington and vice versa April to November. Savings are now available on the American Queen, American Empress and American Duchess voyages - please do call for further details. 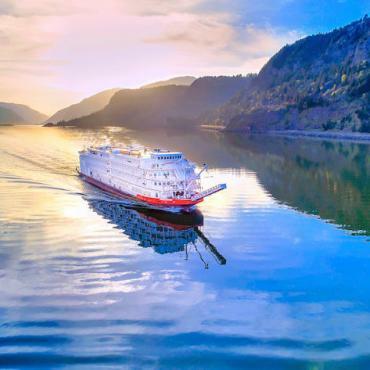 Please note, gratuities are not included and will be charged to your on board account and ports of call are subject to change. 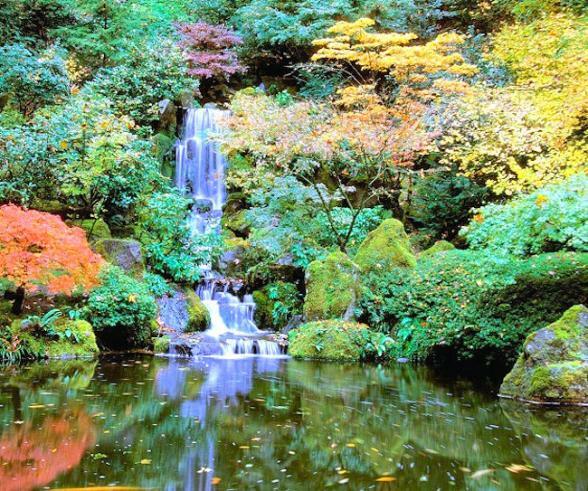 Your Pacific Northwest adventure kicks off with three nights in the city of Portland, Oregon.The many city parks and gardens make it a delightfully green city with a pleasant, almost northern-European climate, something that has contributed to its reputation as the “Rose Capital of America”. 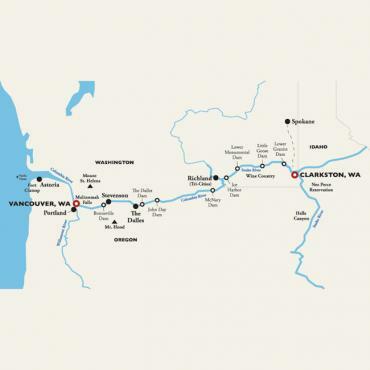 You'll have two full days to relax before beginning your American Empress voyage along the Columbia and Snake Rivers. 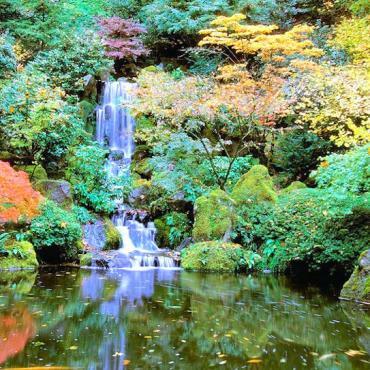 We've included a sightseeing tour of the city for you in Portland which will include visits to the Waterfront Park and the International Rose Test Garden, but you may also want to visit the Japanese Gardens and legendary Powell's Books - the world's largest new and used bookstore. On your third day in Portland we've a treat in store for you with a full day visit to nearby Mount St Helens. On this fascinating tour you’ll discover one of the region's most iconic and powerful attractions. View Ape Cave, the USA’s largest continuous lava tube and explore the visitor centers in and around the Blast Zone. You’ll also visit Johnston Ridge Observatory, some five miles from the crater, where you can delight in stunning views of the steaming volcano, the growing lava dome, and the world's youngest glacier. Be sure to take your camera, this is impressive! Today the American Empress departs at 6pm from Vancouver, Washington State (not to be confused with Vancouver, Canada). So you'll have the morning to explore the city before you are transferred to the port. This morning you may wish to stroll around The Portland Museum of Art, check out the cultural heart of the city at The Pearl District, or visit the eclectic boutiques in the Nob Hill area, there is no sales tax in Portland. 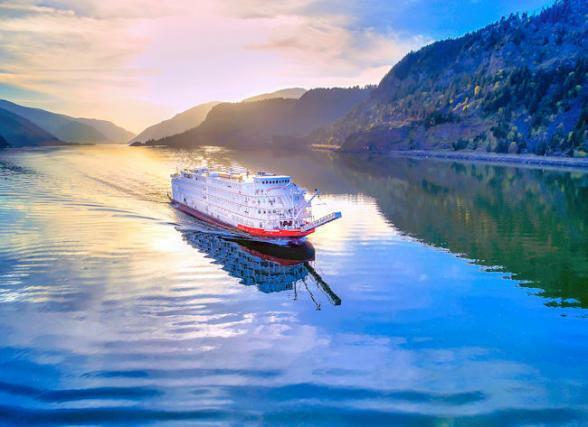 Early evening embark your floating home for the next seven nights and enjoy a cocktail on deck as you leave the city lights of Portland behind and head along the Columbia River to your first port of call, Astoria. Located on the Oregon coast at the mouth of the Columbia River, Astoria is the oldest settlement west of the Rockies. Here you'll see Victorian-era homes perched in the hills over looking the river. Surrounded by lush forests and three rivers this historic pioneer city is a stone’s throw away from the Pacific, think fishing village meets Victoriana, with a Scandinavian flavour. 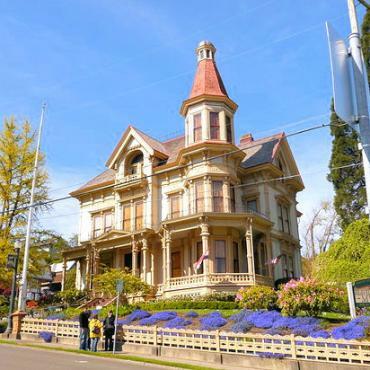 On your tour today you'll enjoy a stroll along the Riverwalk and visit the Flavel House and Carriage Museum before heading off to Astoria Column for incredible views of the majestic valley and the Pacific Ocean. 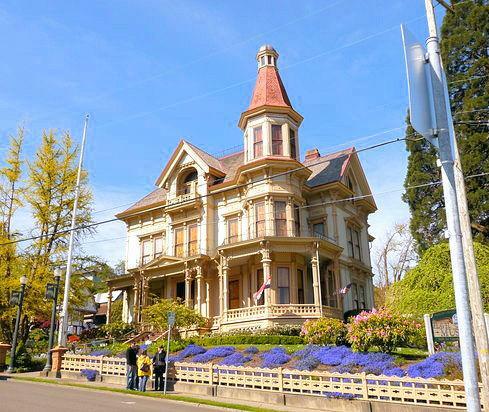 Last, but not least, stop on the tour is the Heritage Museum where you'll learn about the fascinating history and culture of Oregon and the Columbia River. 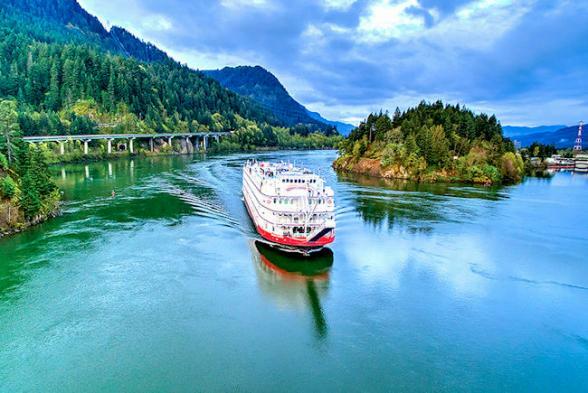 Your next stop on your American Empress voyage is historic Stevenson at the base of the impressive Cascade Mountains. This area was home to Native American settlements for thousands of years. Their villages were focal points for commerce and social gatherings as they came to trade and fish along the river banks. 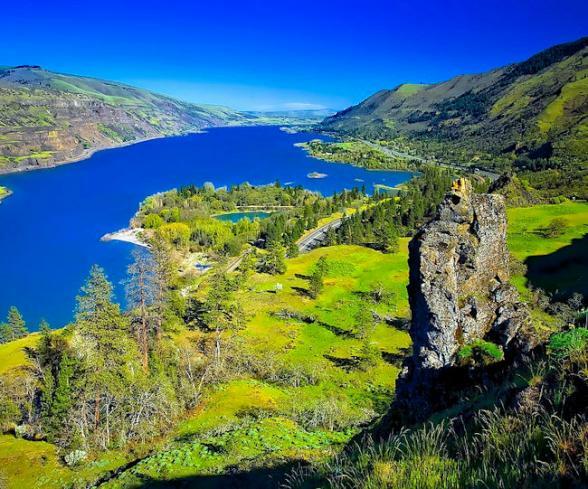 Later the first explorers and missionaries used the Columbia River to penetrate the Cascade Mountains on their way to the Pacific Ocean. In 1843 the Oregon Trail brought the first of a great wave of settlers past its shores. Pioneers portaged around the Cascade Rapids on their way to the Willamette Valley. Some of these pioneers chose to stay. The Stevenson family, who settled in the Gorge in the 1800s from Missouri, founded the town of Stevenson on the old Shepard donation land claim. George Stevenson purchased the original town site for $24,000 in 1893, building the town along the lower flat near the river. Today, Stevenson is the only city actually on the river waterfront in the National Scenic Area. Your tour of this area today includes shopping in the downtown area and a visit to the Columbia Gorge Interpretive Centre. The Centre brings to life the human stories of the nation's most compelling landscape. The day is topped off marvellously with a visit to the impressive Bonneville Dam where you can enjoy a tour of this powerhouse. Here you'll also view the ingenious apparatus that allows the salmon population to pass through the dam. Founded in 1857 and nestled between Mt. Hood. and Mt. Adams, on the south bank of the Columbia River is The Dalles. This was the end of the overland Oregon Trail and in the early years this area carved a unique place in history as a jumping off spot for pioneers, soldiers, gold miners, adventurers, gun-slingers, floozies, and scallywags. 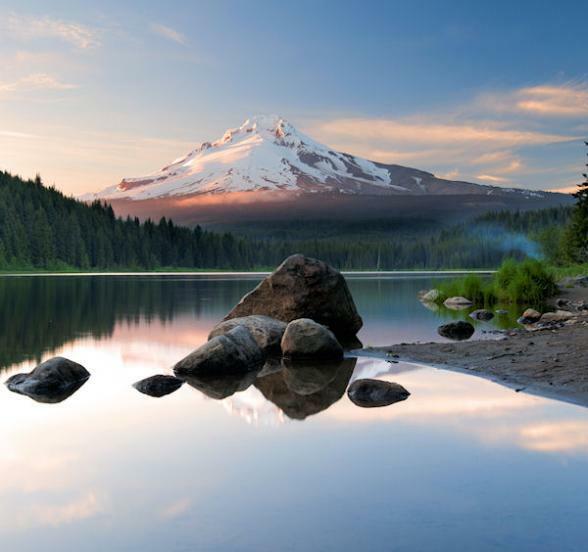 Overlooking this part of the Columbia River is majestic Mount Hood, the highest point in Oregon. 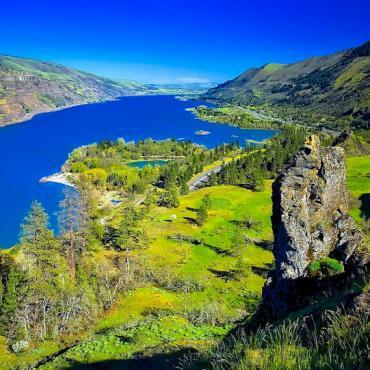 This area is the eastern entrance to the Columbia Gorge National Scenic Area and unquestionably two of the most beautiful places on earth. Today on your tour you’ll stop at the Columbia Gorge Interpretive Centre where you can learn about the local history before heading off to the Original Courthouse Museum. This historic building dates back to 1859 and is known at the first courthouse of the Rocky Mountains. At The Dalles Visitor Centre you’ll learn more about this pioneer town before taking a stroll to the Fort Dalles Museum, an original military base built in the 1800s. There will be time for a spot of shopping downtown and a visit to the Sunshine Mills Winery, a 130 year old mill, and now a state of the art Quenett boutique winery. Make sure you’re on deck when you head off for your next stop, Stevenson, you won’t want to miss out on any of this astonishing scenery. 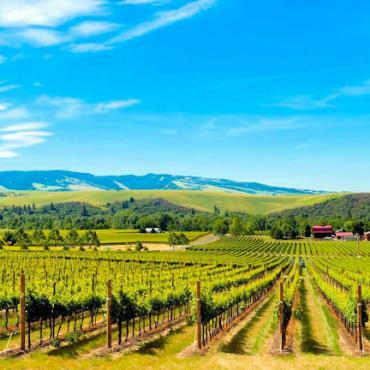 Cradled near the confluence of the Columbia, Snake and Yakima Rivers, in the heart of Washington State's wine region are the Tri-Cities of Richland, Pasco and Kennewick. These cities boast more than 160 wineries within a 60-mile radius and produce some of the finest wines in the world. 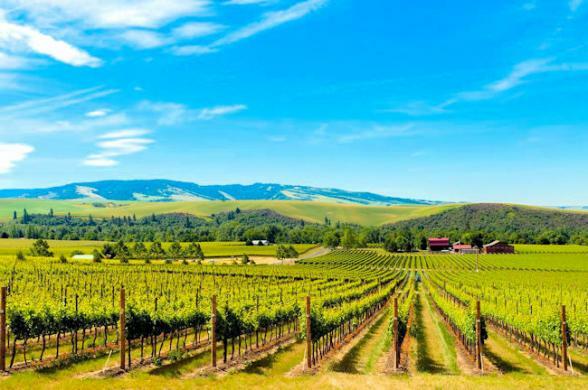 If you're a wine lover you'll be interested in the Walla Walla Wine Trail shore excursion (extra cost) which leads you through the area of Washington State referred to as The Napa Valley of the Pacific Northwest. Over the next two days on your American Empress tours you'll learn about the local Native American culture, the Northern Pacific Railroad and learn more about Lewis & Clark at Sacajawea State Park. The community of Clarkston lies along the Snake River only a stone's throw from the Idaho border. Appointed National Tree City, some of the loveliest dogwood, elm, maple and fir trees are located in the city's many recreational parks. 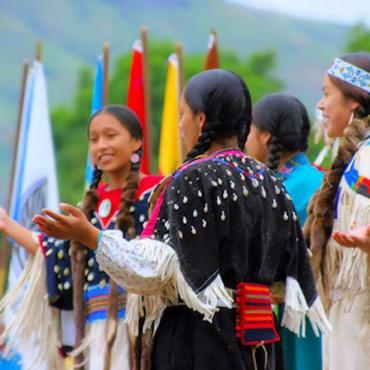 Today, you'll experience the history and indigenous culture of the Nez Perce Tribe when you travel on the American Empress excursion to the Nez Perce Historical Park on a fascinating guided tour of their reservation. 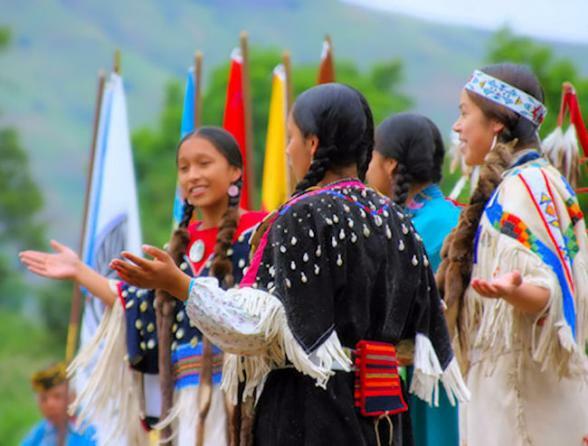 In neighbouring Idaho, you'll stop in the city of Lewiston at the Nez Perce County Historical Society and Museum where you'll delve deeper into the unique history of this tribe. Today you'll disembark the American Empress at 7am for your transfer to Spokane Airport for your flight home. Your cruise ends here but your adventure doesn't have to. You may decide to extend your stay and spend a few days in Spokane or maybe enjoy a city stop over in Seattle or Boston? 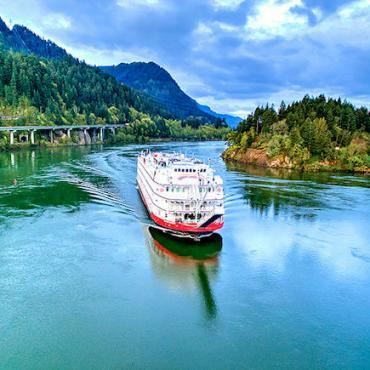 Call the USA travel specialists at Bon Voyage on 0800 316 3012 to discuss your perfect American Empress - Cruise the Columbia and Snakes River adventure.